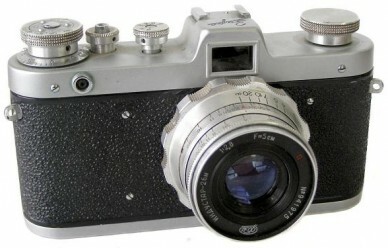 Economy version of the Fed-2 camera with identical specifications to those of Fed-2 (d), but without rangefinder. Shutter: 1/30s, 1/60s, 1/125s, 1/250s, 1/500 + B. 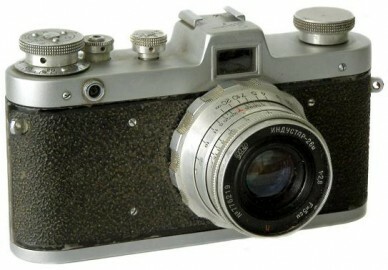 Very uncommon version of particular camera with dark blue body covering. No otherwise different. 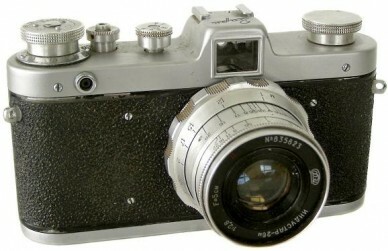 Seems to be an early version of Fed Zarya camera with bigger viewfinder (15mm x 11mm). 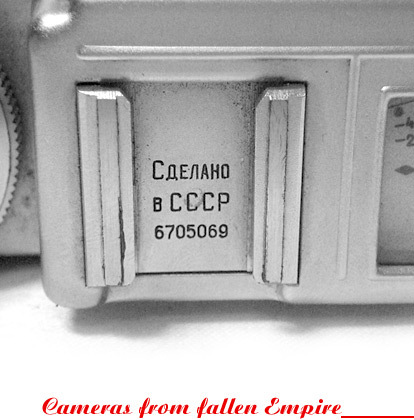 Later Zarya cameras come with standard 15m x 9mm viewfinder.